At LOX, our Skin Health Coach, Jenny Barrow, offers two tailored skin-coaching programmes, using a Slow Beauty approach to support you on your unique skin transformation journey. You can also book Jenny on an hourly basis for tailored skin advice on botanical skincare, skin nutrition and wellbeing practices. Not ready to embark on a full programme? 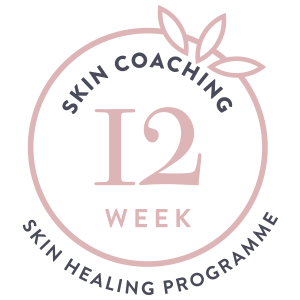 Book a one-hour consultation with Jenny for personalised advice on skin nutrition, topical skincare and well-being practices to support you on your skin journey. for transforming healthy skin into beautiful skin with the trademark Janesce glow. for healing and transforming acne, rosacea, eczema, congestion or dehydrated or sensitive skin conditions. The Slow Beauty movement describes a fast growing sub-culture of beauty therapists who have lost faith in the ‘quick fix’ promises of the beauty industry, favouring a holistic approach to skincare with a focus on skin-nutrition, wellness and working in harmony with nature and the biology of the skin. Your skin reflects the topical skincare you use each day, but it also reflects your diet, your lifestyle, your exercise patterns, your stressors and your general health and well-being. Your skin journey can actually be the doorway into a whole new way of life. Learn to prioritise and invest in your own wellbeing. Learn the power of botanical skincare to heal and rebalance skin. Learn to build beautiful self-care rituals into each day. Learn to make and eat delicious, healthy food that nourishes and heals your skin. Learn to live without the vices that damage your skin and subtract more from your life than they add. Learn to manage stress better. Learn to enjoy a slower, simpler, more grounded life. Learn to nurture soft, clear, glowing skin, reflecting a life of wellbeing that glows from within. 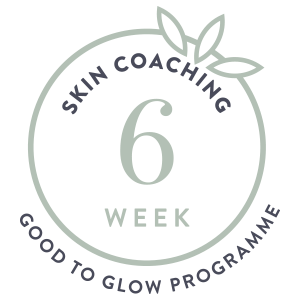 Register your interest in Skin Coaching and Jenny will be in touch. Jenny Barrow lives and breathes wellness and holistic skin health. Her own story of skin transformation is truly remarkable. This gives her empathy as well as life-tested knowledge to be able to support you on your skin transformation journey. Jenny is a Janesce and Bestow educator and works closely with LOX founder and industry leader, Janine Tait. A true foodie who is dedicated to living a slow and simple life, Jenny will inspire and support you as you make the topical, dietary and lifestyle changes required to achieve soft, clear, glowing skin.